It all began in high school. A bagel and cream cheese had been my Saturday breakfast routine for years, until one day freshman year when it really upset my stomach. This happened repeatedly, so my mom suggested I might be becoming lactose intolerant. I did some Googling, learned that it's common for adults to become lactose intolerant, and then started decreasing my dairy intake and also added Lactaid tablets into the mix. When I had a yearly physical and mentioned this concern to my doctor, he simply printed out a two-page informational sheet about lactose intolerance—information I'd already found online—and sent me on my way. As the years went on, my digestion only worsened. By my freshman year of college, I was drinking out of the Peptol Bismol bottle on the regular, because I had diarrhea every day. So many foods would set it off. Now, this may seem like quite a drastic condition to have, but when it creeps in over several years, it somehow just became my new normal to have liquid explosions in the bathroom. I was embarrassed to talk about it with most friends, so I just did the best I could with what I knew—which at the time was that Peptol Bismol helps with diarrhea. Besides, I had homework and exams and work to worry about. Imagine, if you will, a full year of these digestive problems. Then another. And another. And yet another. It was during my senior year of college in 2011 that I'd finally had enough. It seems to be getting worse. The other week I made a veggie roast with pork. We’re talking potatoes, onions, carrots, and pork. Olive oil on top. And some spices. Made me so sick so sick so sick. And a frozen Thai meal I tried from Trader Joe’s one day. Not a single dairy ingredient at all, and I was so sick so sick so sick. I had gotten so used to the daily bathroom trips. Stopping in during my breaks, while everyone else was in class. Waiting until public bathrooms were empty before making my uncomfortable noises and letting my achy stomach unload. Finally I decided enough was enough, I want to be tested for every food allergy possible and find out what the heck I’m allergic to. I couldn’t piece it together because the most random foods would set me off. I had that first appointment yesterday. The doctor did some sort of skin-prick test, which tested for allergies to 12 different ingredients. I sat nervously. This was the first time I’d gone to a doctor after a solid four years of diarrhea and digestive problems. He came back a few minutes later with the results: I’m not allergic to milk. I’M NOT ALLERGIC TO MILK! After nearly seven years thinking I was lactose intolerant! Suddenly I felt a lump rise from my gut into my throat, and I began to cry right then and there. I couldn’t hold it in. My upper-aged male doctor was visibly uncomfortable and didn’t know what to do. “Why are you crying?” he asked, which only made it worse. Why was I crying? Because I was expecting answers. Because I wanted help. Because I wanted to fix this. Because I’d spent four years with this every single day, always needing to know where the nearest restroom was, experiencing uncomfortable feelings and explosions in the bathroom, cleaning up the toilet every time, making embarrassing loud noises, and I was so tired of it. If I don’t have a single food allergy, what could it possibly be? How can I ever be “normal” again? Will I ever be “normal” again? But instead of answers, the information I heard was that I’m not allergic to milk. Also not allergic to wheat. Not allergic to eggs. Tomatoes. Fish. And seven other ingredients. I had always just assumed I was allergic to certain foods — because still today I can tell you with 100% confidence certain foods that will set it off. And others won’t. But I had never entertained the idea of troubles in the stomach, intestines, something like that. My first doc thought I had some type of illness or business in that area. The appointment is in 2.5 weeks. I’m afraid they won’t find anything to diagnose, and this will be my experience with food forever. To prepare for my appointment, I made a list of all the foods that set off my diarrhea/stomach problems immediately. These were things I’d stopped eating in the past four years, but included the aforementioned jolly ranchers, milk chocolate, PB&J, and pop tarts, for example. My gastroenterologist spent less than five minutes talking with me about my problems, and didn’t take much interest in the food list I’d brought along. She said I have IBS: Irritable Bowel Syndrome, which has no one-size-fits-all “cure,” and prescribed me dicyclomine (Bentyl). She told me to eat more fiber and then come back in a month to see how things were going. I took the medicine — because a doctor had told me to — and also researched online what to eat for more fiber. From the internet I learned that there are two types of fibers: insoluble fiber and soluble fiber. Soluble fiber attracts water, and thus can help with diarrhea, whereas insoluble fiber does not dissolve in water and can be beneficial for those with constipation. I presumed that should be upping my soluble fiber, then, but why the heck didn’t my gastroenterologist explain this difference to me? All she said was to eat more fiber. When I went for my check-in appointment a month later, I told her that I hadn’t noticed any difference. So this time she prescribed clidinium-chlordiazepoxide (Librax) as well. She mentioned that if this didn’t work, we might have to do a colonoscopy to see what was going on inside my digestive tract. I was 21 years old, hell no. I did pick up my new prescription from the pharmacy, but after googling both meds and reading about their scary withdrawal effects, I decided to stop taking them. I couldn’t tell a difference with or without, so why would I put these chemicals into my body, chemicals which cause side effects and withdrawal? Instead, now that I had a name for my ailment, IBS, I put six IBS books on hold at the local library and read them all. I read about probiotics and started taking them in May of 2011. I also completely cut out dairy and picked up rice protein powder and glutamine, as I’d read they help IBS sufferers. 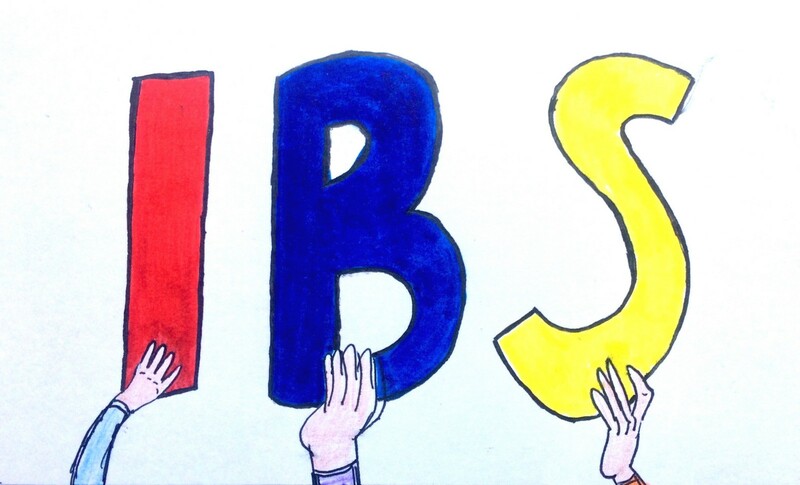 The more I learned about IBS and digestion, the more I was shocked my gastroenterologist hadn’t acted differently. Why hadn’t she explained the cause of IBS to me, or told me about the trigger foods to avoid, or told me about supplements and probiotics which help to rebuild a healthy digestive system? No, she just prescribed a pill and went on with her day. This was the first that my view of health and medical systems began to change. It was also my first lesson in advocating for myself. I learned that I’m in charge of my health, and I need to ask questions and research on my own until I find doctors who are willing to listen and help. There was one more notable “first” that happened at this time: I made a connection between the spinal fusion I had at age 16 and these current digestive problems. The books I was reading said that antibiotics can wipe out the good bacteria in your gut flora, and I’d surely had plenty of antibiotics and other drugs pumped through me during my spinal operation years earlier. But the doctors hadn’t mentioned any of this to me at that time — none of it. Could this have been the cause of it all? I thought it was a likely contributor. 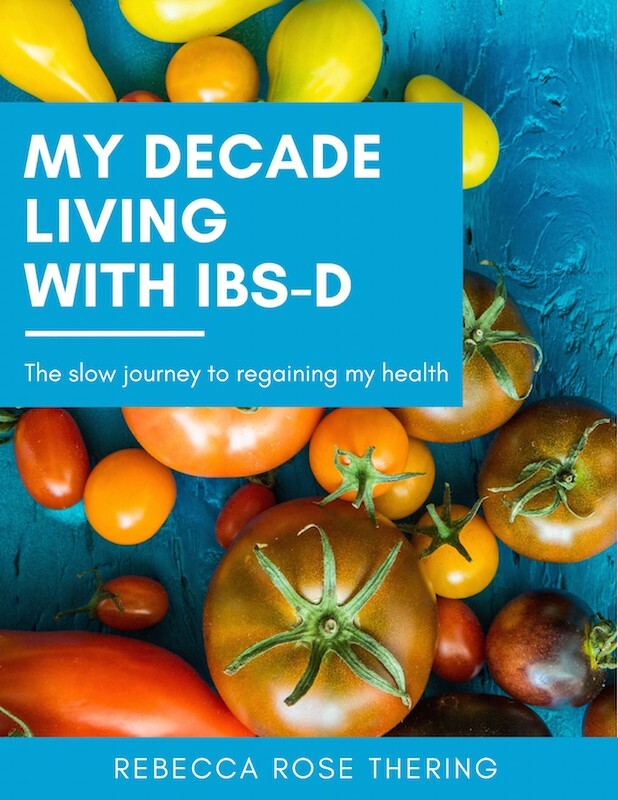 The book tells my story — from being a midwestern kid in the ’90s to spending some of my 20s living abroad in Spain, South Korea, and France — through the lens of my digestive health. I’m sharing this journey freely and publicly in the hopes that you will feel less alone, be encouraged to advocate for yourself when interacting with health professionals, perhaps discover some new ideas to try, and see that big transformation happens one day at a time. I wish you positive vibes and a healthy body!